The FlexPoint range is a new generation of co-ordinate measuring systems. Featuring high-quality construction and cutting-edge ZONE3 software, they offer precision, flexibility and speed to solve a wide variety of dimensional measurement challenges, whatever the size or complexity of a part. The FlexPoint supports a range of tactile and non-contact sensors, point and line scan lasers, white light sensors and a unique video sensor, all powered by ZONE3 3D CAD-based metrology software. ZONE3 provides complete flexibility for multi-sensor measurements, with or without a CAD model. An entirely graphical user interface, visual validation for every step and graphical reporting make it the easiest and most intuitive metrology software available. The VersaFlex offers up to three simultaneously available sensors on an articulating probe head, meaning there is no down time while individual sensors are exchanged from a change rack and no need to recalibrate each time a sensor is used. FlexPoint machines boast a stable transport design with carefully selected materials, rigid body members, air bearings on all axes and active temperature compensation – perfect for top-level performance on the shop floor. Patented design features enable a larger measuring volume within a compact footprint, guaranteeing high-speed motion, thermal stability and vibration isolation. 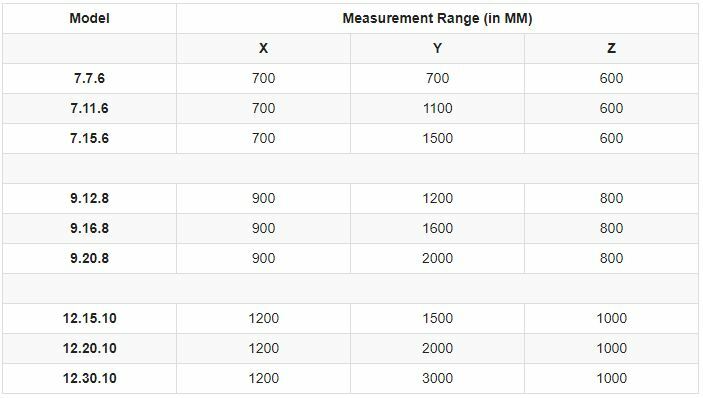 Precise calibration capabilities reduce measurement uncertainty, with machine accuracy verification performed according to ISO 10360-2:2009. The Flexpoint 111 and 212 are high-accuracy, flexible data-gathering systems designed to measure small precision parts. A faster, more intuitive and more reliable alternative to custom hand-gauging, the systems come equipped with ZONE3 premium CAD-based 3D metrology software. 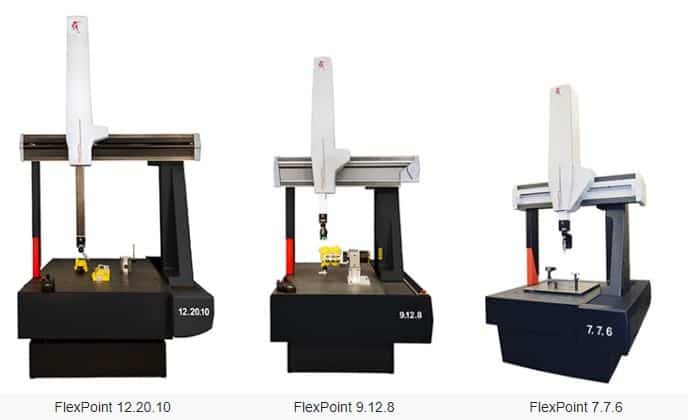 FlexPoint offers a unique blend of accuracy, adaptability and speed in measuring large-format parts.